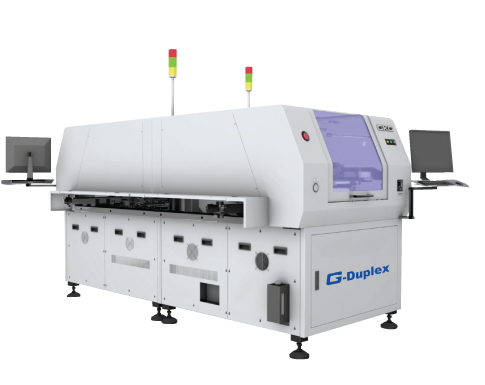 Equipped with a built-in traverser, G-Duplex is capable of matching with any dual lane SMT mounter. Furnished with a 3-stage conveyor and back-to-back configuration, it enhances performance capability and efficiency. Nonetheless, it is also possible to operate independently to link up with any single lane SMT line. Its high flexibility enables it to manage changes in production more effectively.